Fishermen, fisherwomen, guides, captains, conservationists and enthusiasts: Start your year-long Lower Keys Guides Association membership today! A year-long business membership to the Lower Keys Guides Association. Donate to the Lower Keys Guides Association and help protect our Florida Keys waters, marine life and livelihoods. To become a member of LKGA by mail, please send us a $50 membership check payable to Lower Keys Guides Association; your contact details including primary email and phone number to PO Box 420951, Summerland Key, FL 33042. Captains and guides must also include a copy of your captains license and/or occupational license. 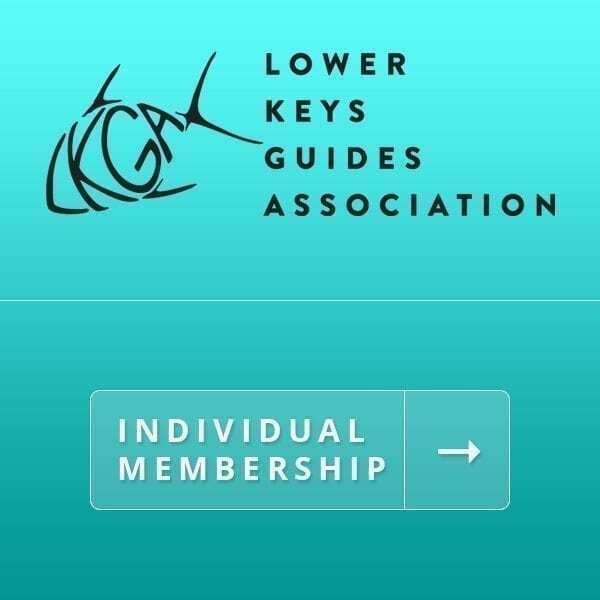 Are you a Florida Keys fishing guide? Not a guide but want to get involved? The LKGA welcomes anglers and like minded individuals as part of our fishing community. Many of our clients, as well as local anglers who share our concerns and positions, are part of our organization as angler members. If you would like to become an angler member, or simply join our ongoing efforts to preserve the Keys as a pristine world class fishery, please email us to get involved and stay up to date with our membership meetings, newsletters, and grassroots projects at info@lkga.org. Or send us your $50 membership donation, contact email or phone number to: PO Box 420951, Summerland Key, FL 33042.